Congruent Solutions Walkin Drive in Chennai | Trainee Process Associate Jobs | 4th to 15th December 2017. Here is a Latest KPO Jobs in Congruent Solutions on the contract basis. What are you waiting for?? Start looking for the Congruent Solutions Job Openings in Chennai details. Congruent Careers offers its benefits beyond the boundaries. Interested candidates can walk for Congruent Trainee Walkin Interview at Chennai. Most of the Freshers who were tired of being searching for Fresher Jobs can look into the Congruent Solution Walkin Details which are provided on our site All India Jobs. 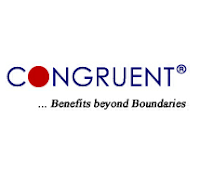 Congruent is providing the Job Openings for Freshers on Contract Basis. It is the best opportunity to start your career with an initial Trainee Process Associate position. Get hired by the top companies by referring the Placement Papers provided here which gives you the knowledge to crack the exam. Get hired by the Congruent Solutions by practicing the Test Pattern provided on this blog. We have shared all the important topics, Interview Questions which are to be prepared for the online test. Selection of the candidates will depend on their performance in the selection rounds conducted by the Congruent Solutions officials. Therefore, prepare hard for the Congruent Solutions Walkin Drive which is going to be held at Chennai. Congruent Solutions Walkin: Looking for Latest Walkin in Chennai?? Have you completed the Graduation? Then it’s the right time to attend the Congruent Trainee Walkin Interview on a Contract basis. Get to know more information about Congruent Solutions Job Openings by looking at this article. Find the Latest Congruent Trainee Jobs from here and if you satisfy the eligibility conditions you can directly walk through the Congruent Walkin Interview for Trainee Process Associate Vacancies. Education: Graduates with the specialization in B.A, B.B.A, B.M.S – Management, B.Com – Commerce, B.Sc, BCA – Computers, Diploma, MBA. Period: 1 Year or Extendable. Employment Type: Temporary/Contractual Job, Full Time. Minimum 60% marks to be secured in the latest education. Candidates must be flexible to work any shifts. Cap facility for night shifts. Having a good knowledge of Maths. Good decision-making skills & analytical skills. Good knowledge of Internet Application, MS-* Word and MS- Excel is added advantage. View Job Openings in Congruent and build a great career in it. If you want to hire by Congruent Solutions, aspirants need to be clear the following rounds. Only the selected candidates will be placed in Congruent for Trainee Process Associate Positions. Congruent Solutions Inc is an SEI CMMI Level 5 Compliant and having the ISO 9001:2008 Certified Information Technology. The company is also having Business Support Services and its operations in the UK, Europe, US, and Singapore with the Delivery Centers in Chennai – India, and Alabama – USA. The Congruent Solutions offerings Maintenance, Application Development, and Re-engineering Services which are focused on the E-Learning, Retail, Retirement/Pension, and HealthCare Verticals.The company has a track record of providing the back office administration services and cost-effective software to the retirement industry. CORE Solutions is mainly based upon long period servicing retirement markets and pension. The company expertise in developing the latest and new web applications using Microsoft, Java & Open Source technologies. How To Apply For Congruent Job Openings?? Congruent Solutions Fresher Walkin Interview for B.A, B.B.A, B.M.S, B.Com, B.Sc, BCA, MBA, Diploma candidates will be held from 4th to 15th December 2017 for Chennai Location. Build a successful and happy career with Congruent Solutions. If you are interested to work with Congruent attend the walk-in interview in Chennai. Walkin Date: 4th to 15th December 2017. Walkin Time: 10 AM to 4 PM.